We created this frontier wooden playhouse with our friends at the Children's Museum of Richmond. It's part of a larger exhibit exploring the different regions of Virginia. 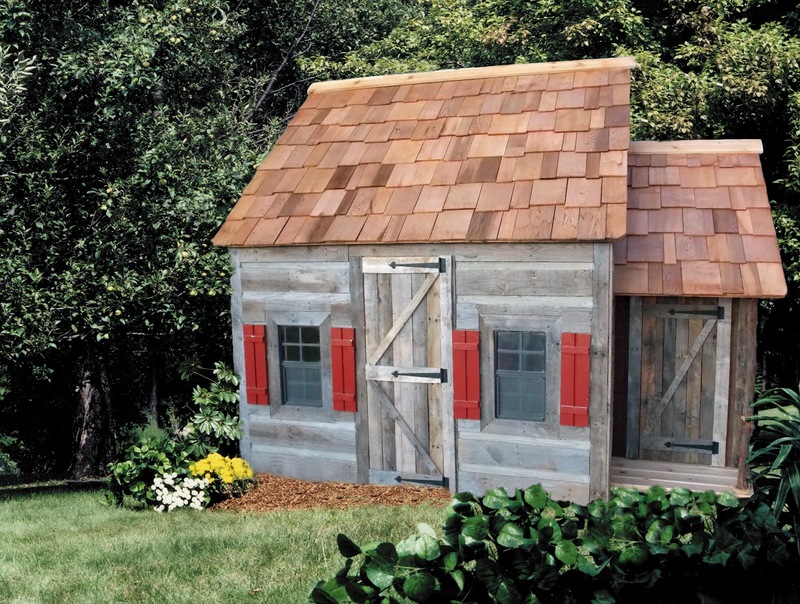 We used old weathered wood and real mortar to make this backyard playhouse have that old Virginia homestead look. Now we're ready for a campfire and marshmallows.